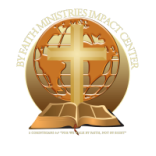 We thank God for all of the seeds that have been sown into this ministry. Without your gifts and God's divine plan, we would not be able to go forward with the mission set before us. Many of you have inquired about giving on line, whether you are out of town, in another state, or an affiliate of another ministry. In our efforts to continue the mission we realize that God has given us many resources to reach our goals. On line giving is now accessible and we thank you for your inquiry. Luke 16:2 And he called him, and said unto him, How is it that I hear this of thee? give an account of thy stewardship; for thou mayest be no longer steward. God expects us to be good stewards over everything that he has given us. We are accountable to God and those who have blessed this ministry. Once again, we thank you for tax deductible gifts and we pray God's blessings will continue to increase in your life.